Is Scrip the Answer for the African American Community? 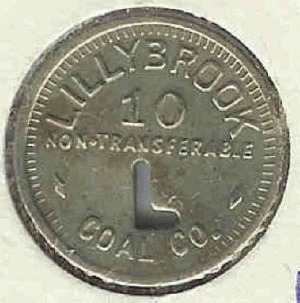 Lillybrook Coal Co. scrip from W.Virginia. H/T YouGottaBeKid. The Town of Pittsboro, NC is printing its own currency called "PLENTY" (Piedmont Local Economy Tender),the scrip can only be used in Pittsboro and you can buy $10 worth of PLENTY for $9 US currency. at the local branch of Capital Bank. The Plenty basically gives you a 10% discount at local stores that honor the scrip. Scrip is a legal form of taxable income. The Federal Reserve and the Internal Revenue Service have no problem with local currencies, as long as their value is fixed to the U.S. dollar, the minimum denomination is worth at least $1, and the bills do not look like federal money. Scrip is an old idea that was born of hard times. During the Depression many cities created their own currency to help local businesses and self-employed folks stay afloat. Local people who were unemployed and struggling to survive organized and bartered their labor, services, and goods within their neighborhoods and communities. Scrip was embraced as a stimulant for local business, as a way for the unemployed to become self-employed, and as a weapon against the Wal-marts of this world. In 1989 when a bank rejected the loan application of a delicatessen owner in Great Barrington, Massachusetts the Schumacher Society encouraged the owner Frank Tortoriello to issue "Deli Dollars" to his customers, who bought notes at $8 each for $10 worth of products at the shop. Dated to stagger redemption over time, Deli Dollars financed the relocation of the deli without having to borrow money from the banks. There are several models out there on how to do this, in at least 200 communities people are tutoring, providing child care, housing immigrants, and performing other social and community services for "Time Dollars" they can use to meet their own needs. 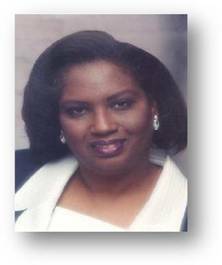 I think that the African American community which is experiencing unprecedented unemployment should consider adopting and issuing scrip and asking our African American financial institutions to come together and honor the scrip in the same way that Capital Bank is honoring the PLENTY. We could call our scrip BENJAMIN's (Business Employment Neighborhood Jobs And More Investment Now!). We could use the scrip to support local black businesses and entrepreneurs who are struggling to stay afloat just like folks banded together to HELP THEMSELVES through the Depression. We could use Benjamins to finance the rebuilding of our own neighborhoods and communities. How, you say? According to the University of Georgia's Selig Center for Economic Growth, the buying power of African Americans was $845 billion in 2007, by 2012, the buying power of African Americans is expected to grow to more than $1 trillion. If African Americans were to convert just 1% of their buying power into Benjamins that would be $10 billion dollars circulating in our neighborhoods and communities. In North Carolina, African American buying power of $38 billion would convert to $380 million in Benjamins circulating through our neighborhoods and communities. I think we should consider the lead of the folks in Pittsboro and let's make it All About the Benjamins. Unarmed Black Men, White Cops and Grand Juries: "Investigated, Considered and Ignored"
Listening and Learning from my 19 year old "Concerned Citizen"